On 20 February 1947, U.S. Air Force Lt. Vern H. Arnett and his eleven man crew took off on what was supposed to be a routine mission. This mission, like the six before it, was designated top secret. 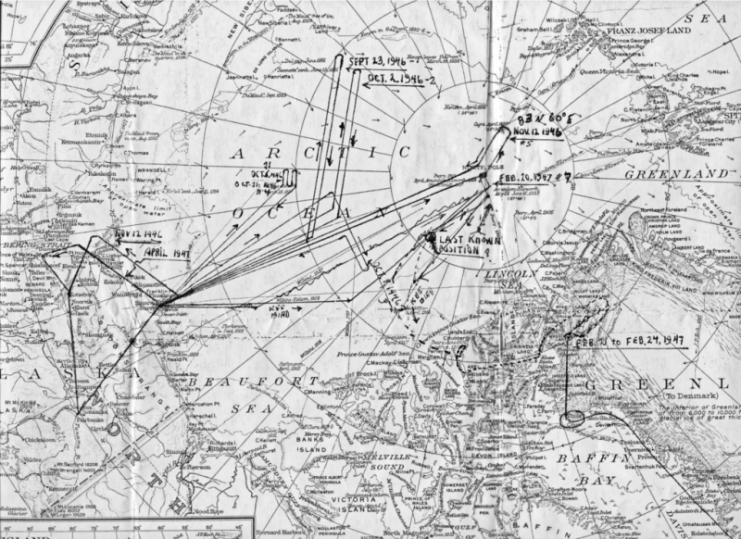 Arnett’s flight pattern that day included a trip around the Geographic North Pole and then home to Ladd Field. He’d been outfitted with enough fuel to keep him airborne for 26 hours if conditions remained normal. Total mission time was expected to be from 12 to 20 hours, touching down at Ladd Field at 10 a.m. Alaska Standard Time. 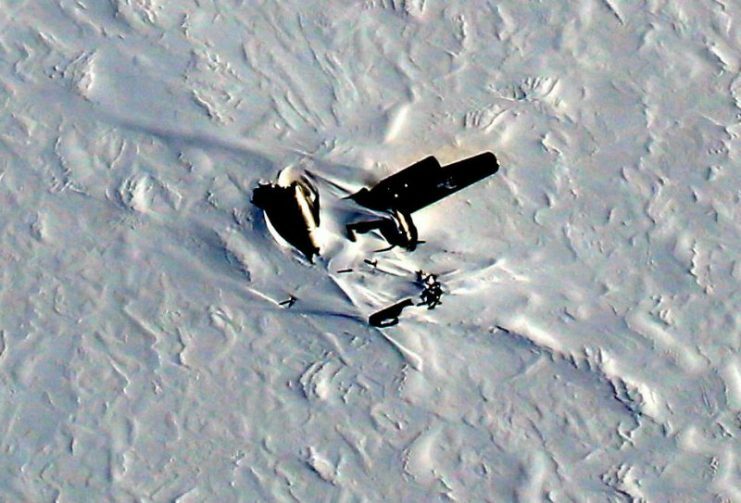 What the mission didn’t include was an emergency landing in the northwestern part of Greenland, but that’s exactly what happened. 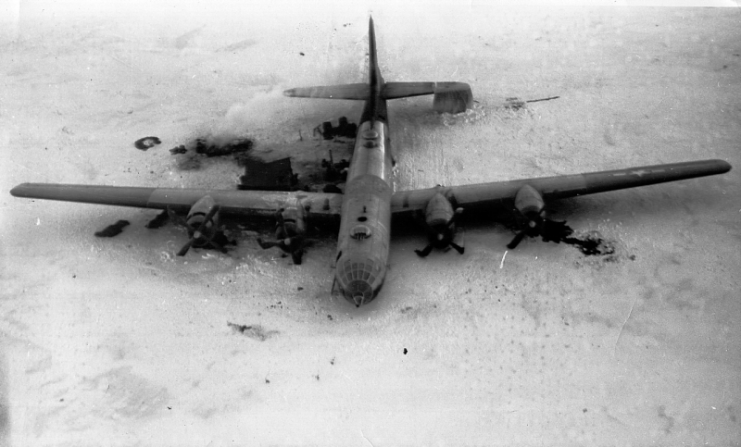 On February 21, 1947 Arnett’s B-29 “Kee Bird” Superfortress, belonging to the 46th Reconnaissance Squadron, was forced to land on a frozen lake. 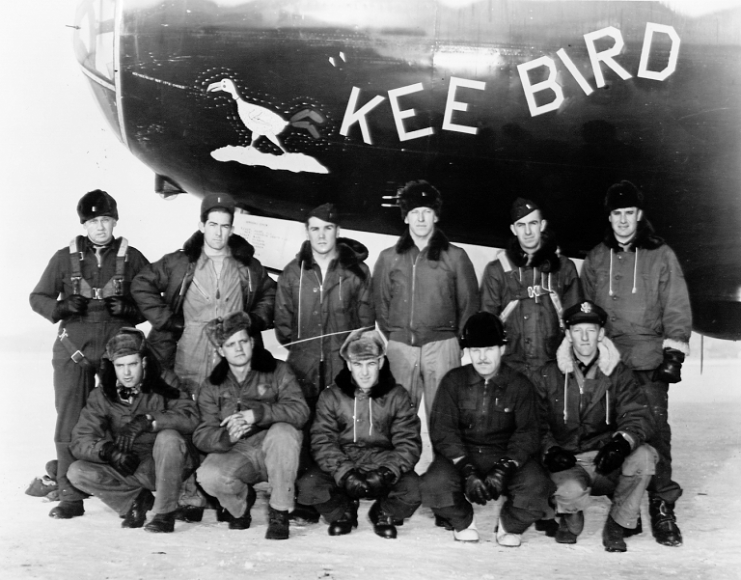 Photo of the crew of the B-29 “Kee Bird”; crashed in Greenland in February 1947. 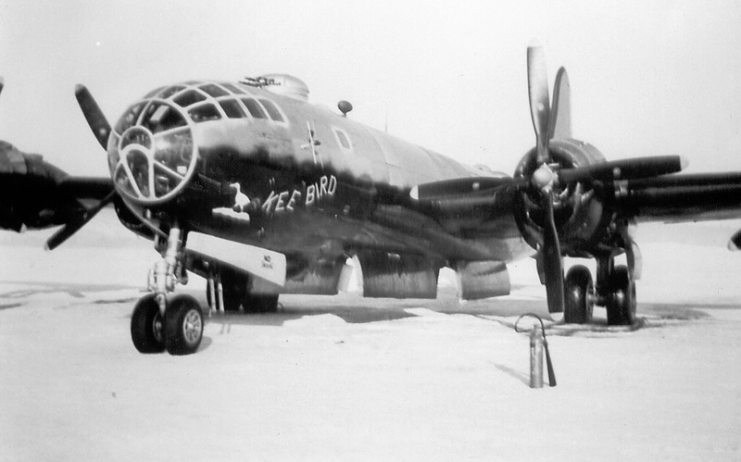 Photo of the B-29 “Kee Bird” prior to its crash in Greenland in February 1947. 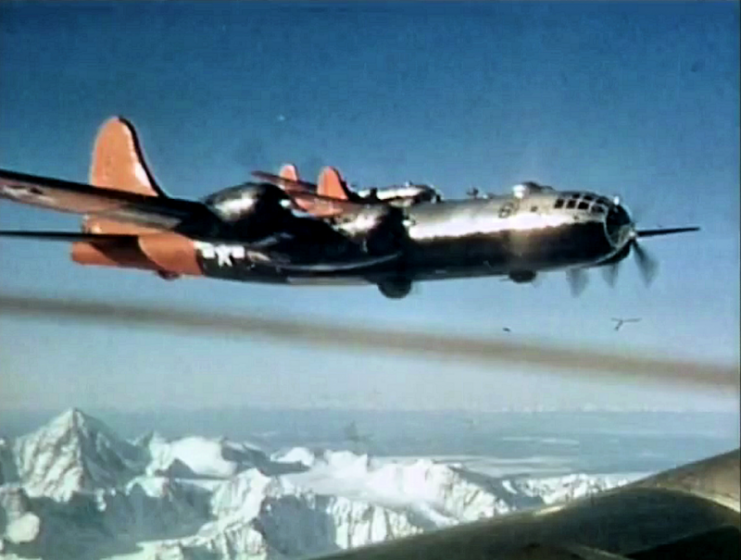 The 46th was assigned to Ladd Field, close to Fairbanks, Alaska. 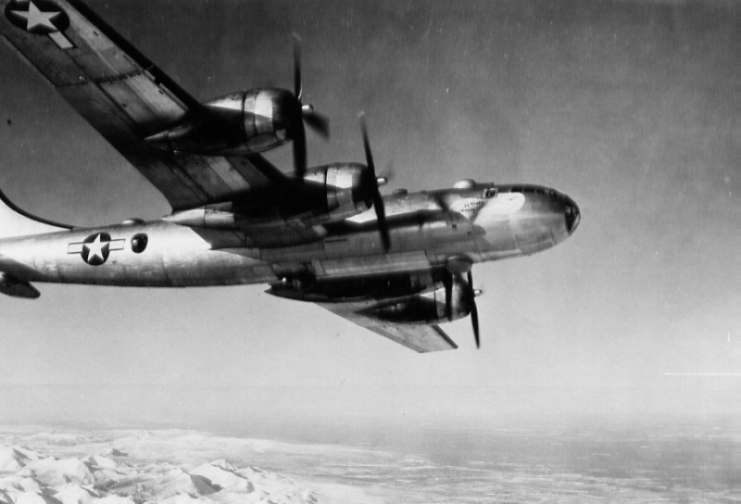 Its flights were intended to help develop accurate polar navigation, survey and map out the Arctic, perform studies on weather patterns, conduct tests on men and their equipment in Arctic conditions, and fly long-range photographic intelligence flights with B-229/F-13A Superfortresses. Unofficially, it was also seeking out any Soviet military activity that might be happening in desolate Arctic areas. 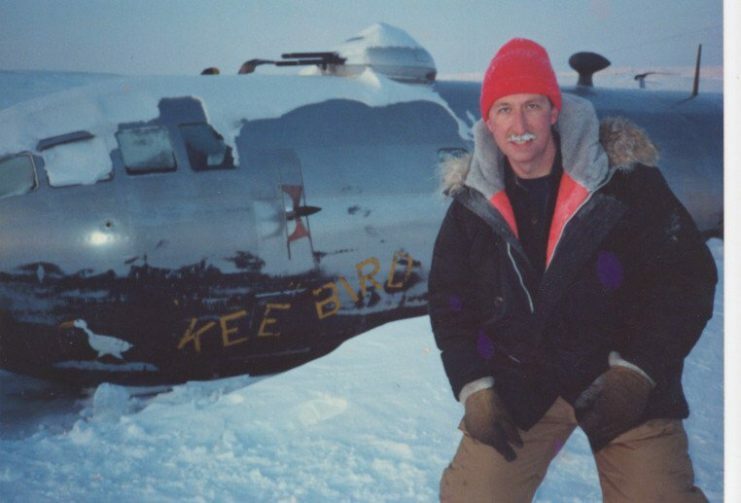 The crew of the downed Kee Bird evacuated the aircraft and were later rescued, leaving Kee Bird behind in the arctic tundra where it remained for forty-seven years. It wasn’t until June of 1994 that the Kee Bird Limited Liability Company, a group of specialist aircraft restoration enthusiasts led by Darryl Greenamyer, arrived at the crash site to find the Bird in good shape. Greenamyer and his team labored under the notion that they could somehow restore the craft to a flight-worthy condition. The Kee Bird rescue. 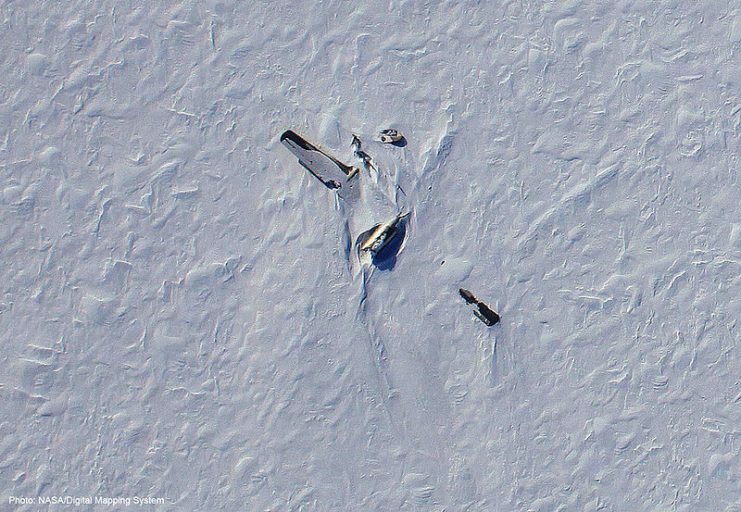 C-54 rescue plane is soon preparing to pick up the aircrew, shown on the ice waving to the photo plane flying over. The boarding ladder is in place, and take-off from the crash site is imminent. They brought their specialist tools and equipment, and spent months in transit, bringing whatever extra parts, tools and equipment were needed from the U.S. Armed Services base in Greenland to complete the task they had set for themselves. During the summer months, the team brought in an engine hoist and an engine, four new propellers, new tires, and a bulldozer. The plan was that upon making Kee Bird able to fly again, they would simply take off from the lake and fly the plane to Thule Air Force Base in Greenland, where they could finish the complete restoration before returning it to the United States. They would have accomplished their aim had they not been stopped by inclement weather and forced to leave the site. Greenamyer wouldn’t bring his team back until May 1995. The repairs he’d undertaken the year before were finally finished, and the airplane was slated to take off from the frozen lake on 21 May 1995. 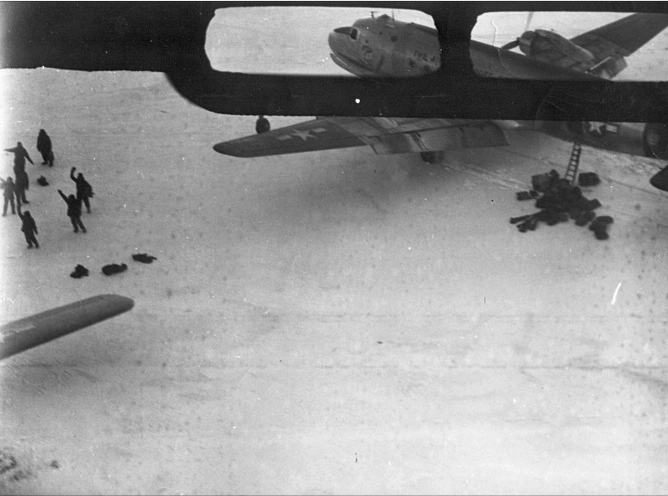 They had employed a bulldozer to construct a makeshift runway out of the ice and snow. The engines on and the turbines spinning, they were ready for takeoff when they discovered a gas leak in the auxiliary power unit fuel tank. The gas dribbled into the fuselage, culminating in a widespread conflagration that soon engulfed the rest of the Kee Bird. The crew fought the fire and failed. Between science waypoints during Operation IceBridge’s flight on April 29, 2011, the P-3 flew over the wreck of a B-29 named Kee Bird that crash-landed in Greenland in 1947. The fire kept going, burning not only the fuselage, but also the tail. The damage was so extensive that Greenamyer and his team were forced to abandon the attempt to save the plane. 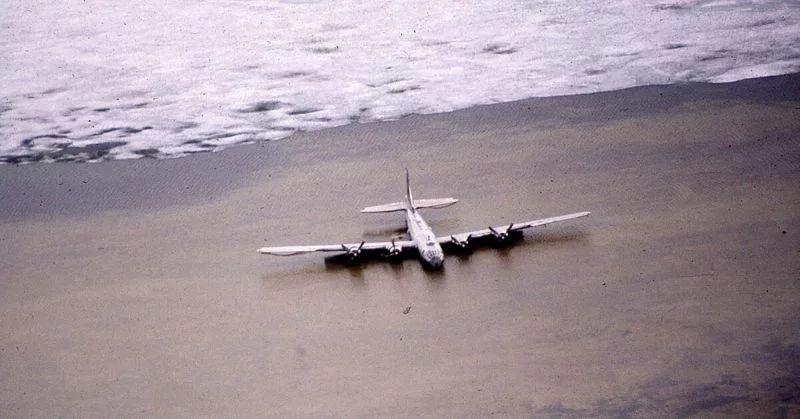 It was believed that once the spring thaw came, the B-29 would disappear into the icy depths of the lake on which it sat. However, to this day its remains still sit on the ice.